Imagine that there's a monstrous cloud of evil that circles the world and periodically swoops down and causes people to die in mass numbers for no discernable reason whatsoever. . .and we can without any effort at all, glide past the European Holocaust, to Rwanda, Cambodia, and Paraguay. Paraguay fought against the combined forces of Argentina, Uruguay and Brazil, the Triple Alliance, from 1864 to 1870. At the end, over 60 percent of Paraguayans were dead, 90 percent of the men. When there weren't enough men to keep fighting, women and children took up arms. Woven through this history is Eliza Alicia Lynch, Irish born mistress of the ruling dictator Francisco Solano Lopez, who bore him seven children. She is said to have buried Solano Lopez and their fifteen year old son with her own hands after the final battle of Cerro Cora. 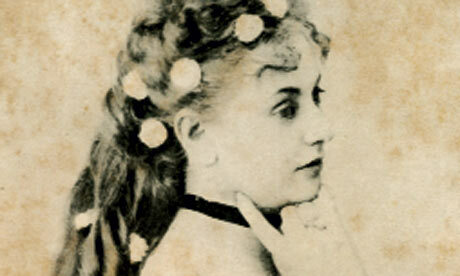 At one point reputed to be the richest land owning woman in the world, later she was exiled twice from Paraguay to Paris, where she died in penury. Historians are hugely discomfited by Eliza Lynch: not certain of what her role was in the prosecution of the war, of a disputed life as a courtesan, what her part was in the torture and murder of Solano Lopez's political enemies, they can't even agree on the causes of the war. In the end, it is an open question whether this woman who does not fit a conventional narrative is in fact an evil sorceress behind the second most devastating war in the Americas, a war which thoroughly destroyed Paraguay with ramifications that resound to this day, or not. A movie about her life. This link is a short, relatively uncontroversial biography. Here's Wikipedia on the history of the Paraguayan War. Woman on horseback: the biography of Francisco Lopez and Eliza Lynch by William E. Barrett. It shouldn't be too much of a stretch to see Barrett's fix on her, "man on horseback" is code for dictator. RTE Radio Show on her life and how she's perceived. Need a job? Qualifications: you must adore megaliths, tolerate neo-Druids, understand the "loony" neolithic, make note of the summer solstice, deal with British weather on Salisbury Plain, be good with PowerPoint, and be super people friendly. English Heritage at Stonehenge is looking for a General Manager. "Then English Heritage may have just the job for you. The firm, which manages 420 historic properties across Britain, is looking for "an exceptional senior manager" to oversee the "visitor experience" at one of the world's most famous historic monuments: Stonehenge. (Yep, that Stonehenge.) The ring of standing stones, erected perhaps as early as 3000 BC, has been one of the world's most popular tourist destinations -- and, come December 2013, the site will offer a revamped visitors' center and exhibition galleries. The General Manager will oversee that center."